I was looking at my affiliate program, and thought of something that I thought you might find helpful that can allow you to use your PLR more effectively. The key to using PLR is to repurpose it in MANY different ways. In other words, you don’t only want to take it and use it to populate your blog or website. I mean you can certainly do that, but if that’s where you stop, you are not making full use of it. Whenever you purchase one PLR package, you should be putting it to use in many different ways. If you can put it to use in a number of different ways, you are increasing your exposure to your given audience. Have you ever thought about using PLR to help you with your affiliate program? If you don’t have an affiliate program yet, here is a report that I wrote that gives you some ideas to keep in mind when choosing affiliate programs, and it can help you decide on what kind of affiliate program you want to have. I have noticed that more and more businesses are setting up affiliate programs in ALL kinds of niches. This is good news for you too. Having an affiliate program is one more way to reward people for telling others about your program or services. In general, nothing lower than 50% commissions for digital products is considered to be the norm. You may want to offer higher commissions at times in order to attract more affiliates who will recommend you, if your goal is to get more people on your list and into your sales funnel. 20% commissions are considered fair if you are offering services such as coaching, counseling, web design, and so forth. Many times, I am trying to think of a topic that I can write about on this blog. It would be so much easier if I could go into the Affiliate Center of someone I want to promote, and find an article that I can use on this blog. I have done that once before on this blog, and you can see that article here. I didn’t write the article. I used Nicole’s article from her Affiliate Center to promote her program. So back to how this applies to you…..you can use PLR articles, that you buy, in your own Affiliate Center so that your affiliates can use those articles to promote YOU and your business. You may have noticed that whenever possible, I tell you about free content that another PLR provider (my “competition”) is giving away. Why do I do this? Because I know you like free stuff (who doesn’t, right? ), and I am hoping that by introducing you to this other person’s business, that you will like his/her content and want to buy something from him/her through my affiliate link. It’s the way we all do business. In other words, my competition doesn’t truly have to be my competition. It’s the same for you. Why not take some of the PLR content that you have purchased, and turn some of it into free content that you put into your Affiliate Center for use by your affiliates. I can guarantee you that affiliates like giving away free content if it means that they may receive credit for sending people your way. Again, your affiliates are looking for ways to promote you, and need content to do so. Why not use PLR that you have purchased, and turn it into short reports that you and your affiliates can give away? The key to this is to allow your affiliates to rebrand it with their own affiliate links. There are many tools that vary in price and ease of use that you can purchase to allow you to do this. I use this branding product. Check out how I have done this here. 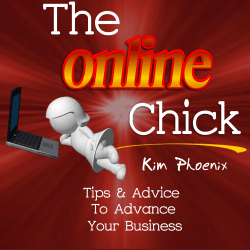 I hope that I have given you more ideas on how to use your PLR in more ways than you might have thought of. If you like this post, please share it with your friends. 🙂 Thank you for visiting.